This is a very unique and attractive bamboo. 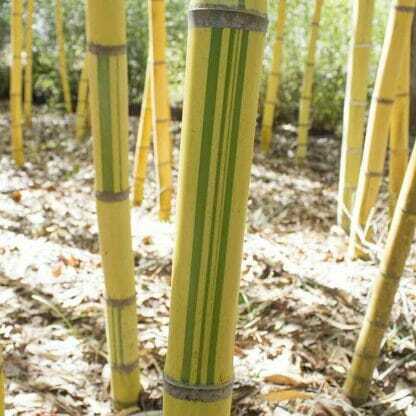 The canes are a buttery yellow with random green stripes and can make a large and colorful screen. Phyllostachys Viridis ‘Robert Young’ is a very unique and attractive bamboo. 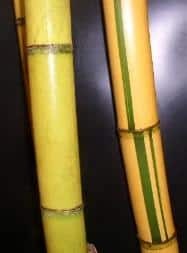 The canes of this Chinese giant are buttery yellow with random dark green stripes. This little brother of Phyllostachys ‘Viridis’ also grows fast, producing large canes in just a few years. This species also like clay based soil conditions. The sheath auricles and oral setae are absent. 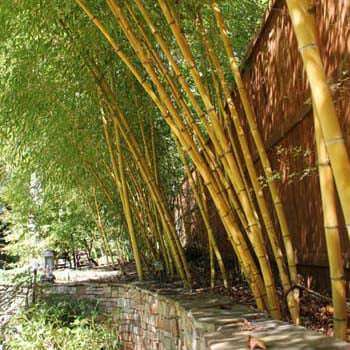 ‘Robert Young’ bamboo makes a beautiful specimen plant in a large pot or planter. Also, outstanding decorative plant in a grove with edible shoots. This species can make a great large and colorful screen. 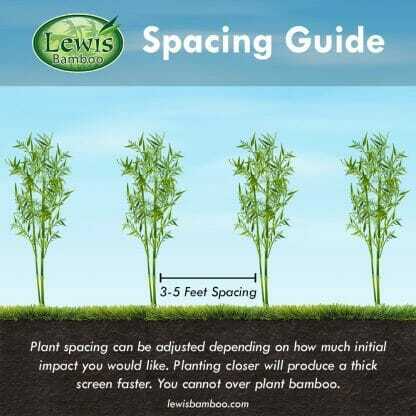 The unique characteristics of this bamboo presents a very pleasing appearance and its size allows you to block even large structures and gain privacy. In hot climates, it is a vigorous runner. This species is doing great in the northwest. In Seattle our customers reported that it acts like a clumping bamboo more than a runner. We have no reports from foliage damage for single digit temps. Our groves have seen plenty of windy winters with temps into the teens with no damage. This is a very decorative species and highly sought after. Arrived super fast, it really helped that you guys are in Florida. completely satisfied, nice specimen. 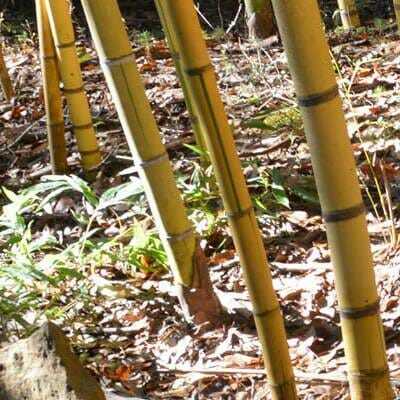 I have been growing bamboo for 30 years and have purchased from many nurseries over the years, but I must say that the plants I purchased from your nursery are tops in size and root mass! Keep up the good work! Great. Lewis Bamboo even called me because I had entered the incorrect zip code for shipping. Plants arrived safely and quickly. 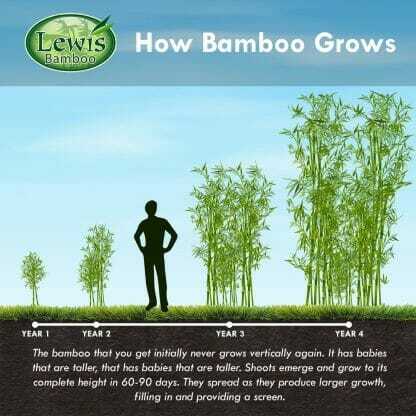 I will be using them again when I expand my bamboo forest.